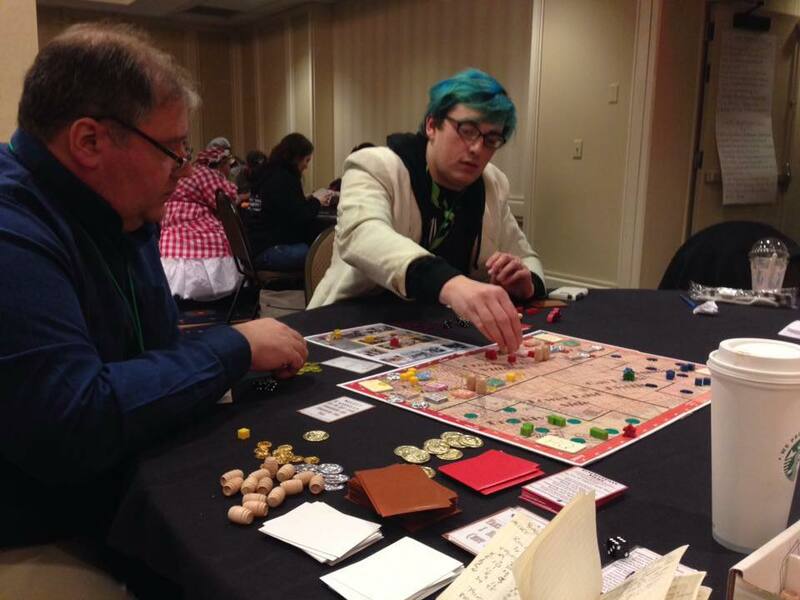 Protospiel will run from Friday, March 9th, 2018 at noon until Sunday, March 11th, 2018 at 3:00pm in the Gaming Room. Please feel free to come and go as you please during this time.That said, we strongly suggest you get some sleep. All tables are shared by all designers - if there is not room to set up your game, go play another designers' instead! Please keep your area tidy, and make room for another designer once you finish getting player feedback for your game. Food and rest are the responsibility of the attendees! Don't forget to budget time and money for these things too; we all do better work when we're rested and fed. ConCoction will host a ConSuite offering free snacks and beverages to all badged attendees in the Galaxy room of the hotel.